Here a new venue is photographed at their request during a somewhat styled shoot. Here our model bride and groom stand at the foot of the very unique staircase which was decorated with candles and flowers. The ultra modern building design makes this an exciting new venue here on the treasure coast. 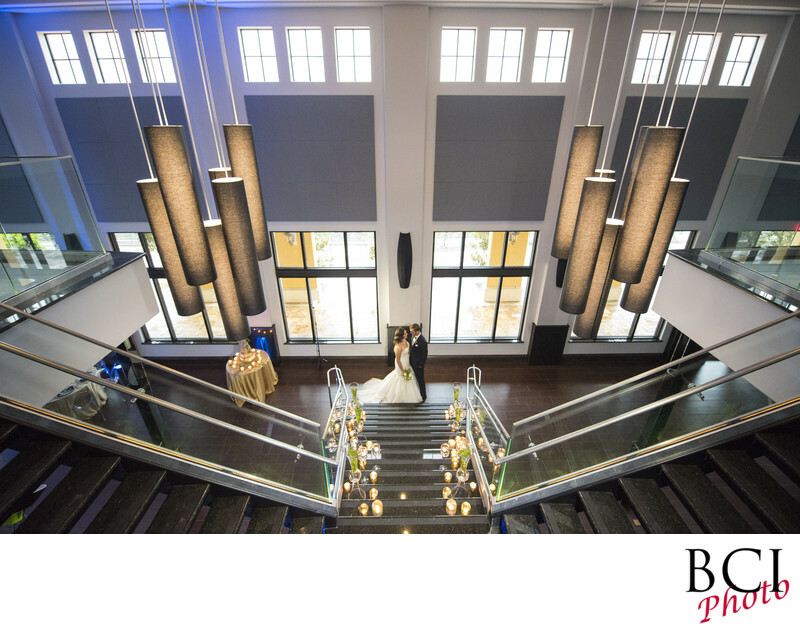 Known as the Promenade on the River, the only concern is that the staircase shown, bisects the downstairs portion, which may make for an awkward situation if the guest count is high.